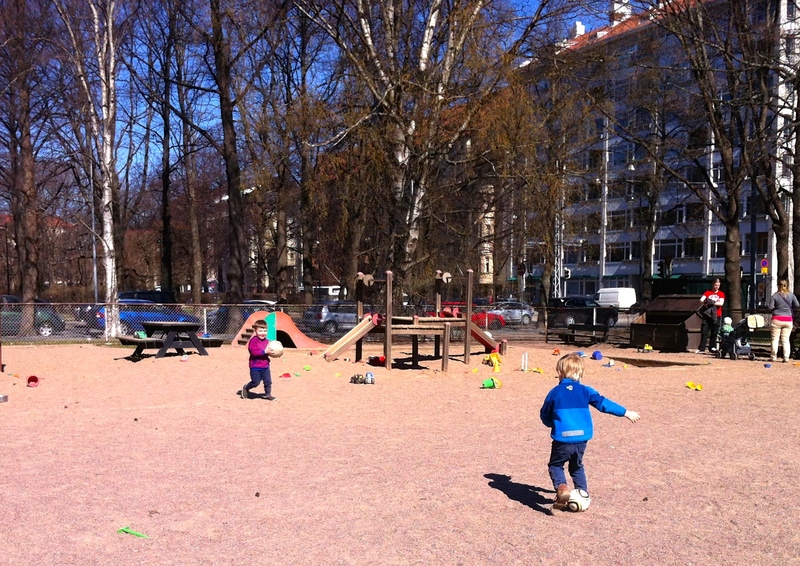 Living in an apartment is a good incentive to get out and try the many playgrounds that Helsinki has to offer. 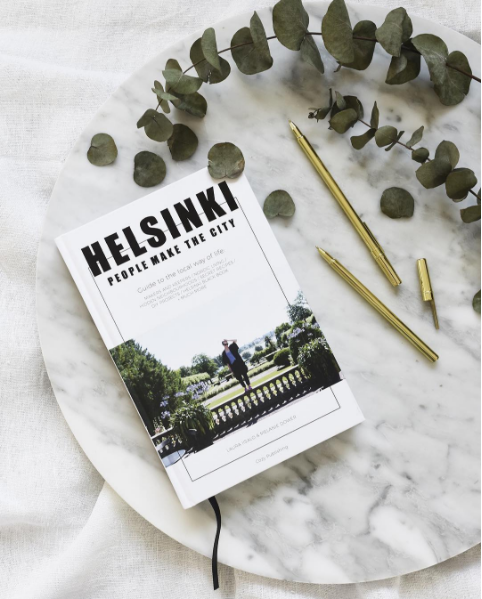 The first thing that stands out is how big they are – Topeliuksenpuisto is about the size of half a rugby field – and dusty. Of course this will change with the weather but it makes kicking a ball around very easy. And the great thing is you don’t have to take a ball. At first I thought someone had left their scooter behind when we went to Lastenlehtopuisto and kept half an eye on it to see who would claim it. And then it dawned on me that these toys are for everyone. There a toys at every park that get packed up at night, either by the adjoining kindergarten or by the public at the end of the day. 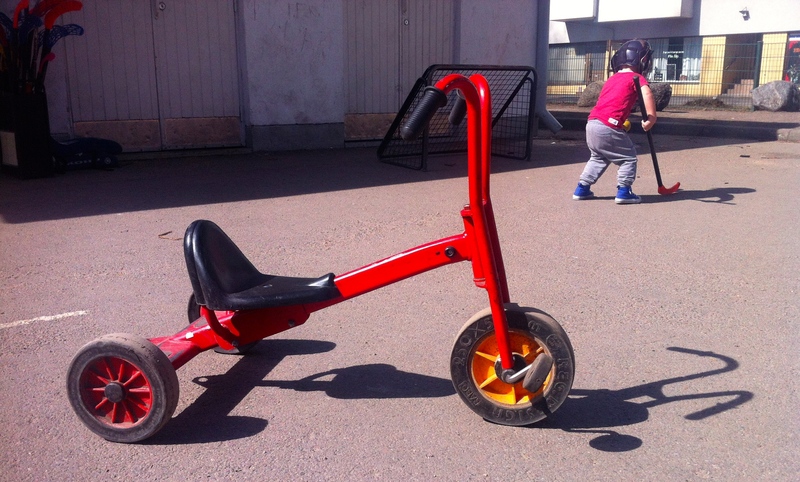 They go into large plastic tubs that are sometimes locked and include a huge range of trucks, spades, buckets and ride on toys likes scooters and bikes. Today Miko got kitted up and shot goals with the hockey gear we found at Tehtaanpuisto. Each park has slightly different features and although familiar (a slide is a slide after all) each is slightly different to what we have at home in New Zealand. 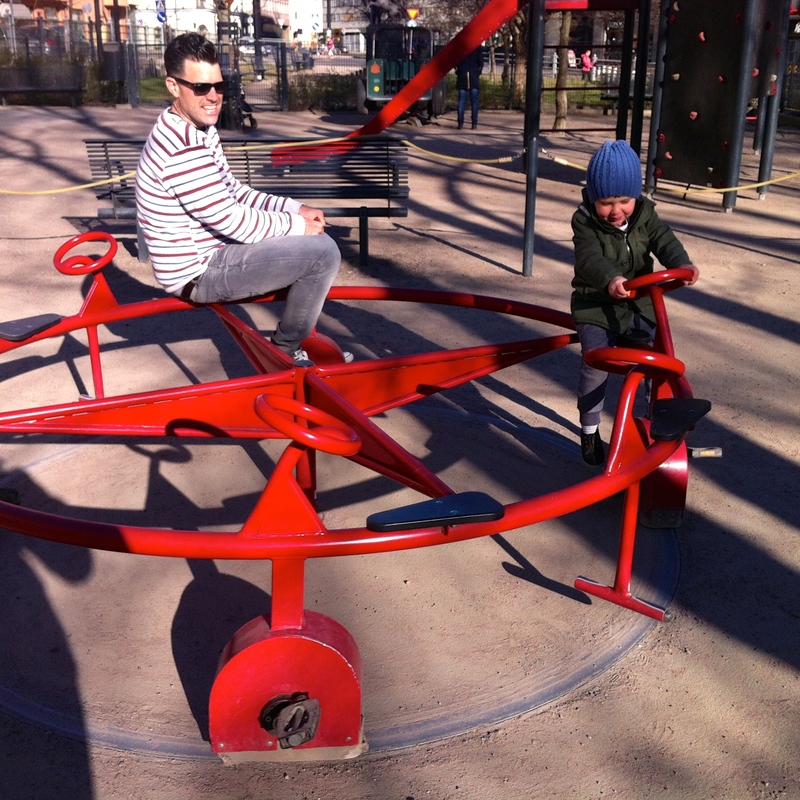 The swing seats are different; the slides may have a big hill to climb to get to the top, instead of a ladder; and today we saw some awesome tandem trikes. 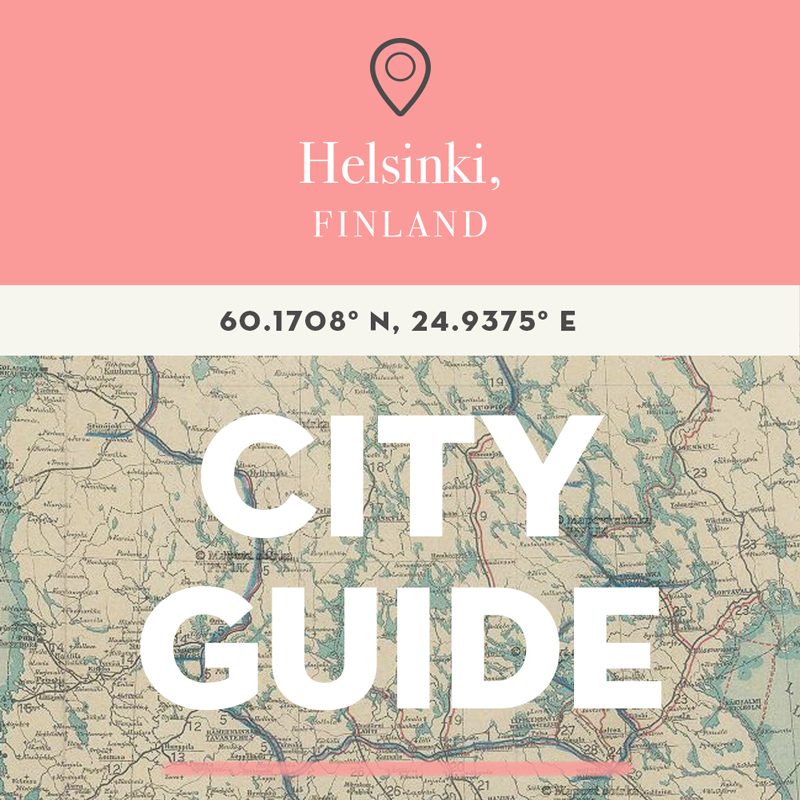 I have a feeling we are going to become very familiar with these features of Helsinki and this won’t be my last post on puistot. What an awesome idea Mel. I will make this homepage! Thanks Gene! Good incentive for me to keep it updated!